The Foothills Foundation is a non-profit organization whose members are business and community leaders who give of their time and talents to make a difference in the community – we also like to have fun! The mission of the Foothills Foundation is to build a stronger South Jefferson County community by supporting local cultural, educational and recreational programs and activities while creating opportunities for community partnerships and volunteerism. The Foothills Foundation produces two community events – the annual golf tournament and the Summerset Festival. Each helps to support the endeavors and mission of the organization. 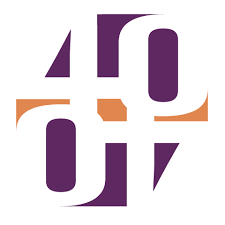 The Foothills Foundation is ecstatic to be part of the 40 Hands in 40 Days group fundraising initiative, focused on helping organizations in Colorado raise much needed funds to help our Colorado Community at large. Through our participation with 40 Hands in 40 Days, our goal is to raise $15,000 for the Foothills Parks & Recreation District. Registration will open soon. Please visit the golf tournament page for tournament information and to subscribe to our tournament email list. The Foothills Foundation is proud to announce we will again be a premier sponsor of the FPRD Red, White & You event on July 3, 2019 at Clement Park. Please visit the Red, White & You event page for more information. The Foothills Foundation will again be hosting the 35th Annual Summerset Festival at Clement Park (Littleton, CO) on September 14. Please visit the Summerset Festival website for program information and exhibitor/ vendor registration. Previous fundraising events held in 2018 included the 30th Annual Foothills Foundation Golf Tournament, Red White & You and the 34th Annual Summerset Festival. Clement Park Skate Park – a popular attraction!